There are 706 districts, 3,181 public schools, and 162 charter schools in Pennsylvania serving 1,771,395 students. 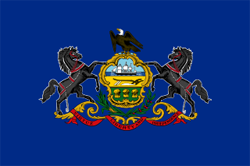 Financially the state of Pennsylvania spends approximately $15,153 per student. There are 124,646 full-time teachers receiving a total of $9,318,410,119 in salaries and $3,381,178,073 in total benefits. 595,372 students receive a free lunch and 101,159 receive a reduced-price lunch.